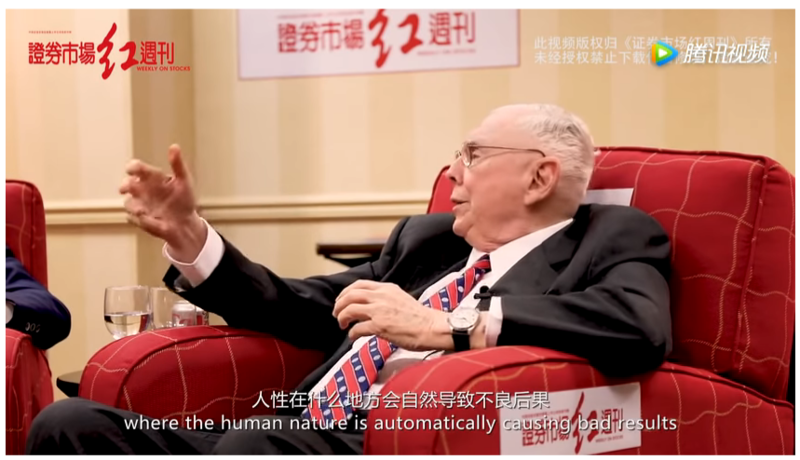 Munger: Let’s take a simple question. As I said in that book. They offered me three hundred shares in Belridge Oil, which I bought because I had the money on hand. They offered fifteen hundred more at the same price. Now I had to sell something or borrow the money. So I bought the three hundred and not the fifteen hundred. That decision has cost me now about $5 Billion. I would be $5 Billion richer if I bought the other fifteen hundred. It’s the contrast. It didn’t inconvenience me in any way to buy the three hundred, it inconvenienced me to buy the other fifteen hundred. Just the extra contrast made my judgement go sour. It was the dumbest goddam decision. One of the dumbest investment decisions I have ever made in my whole life. The stock was not overpriced cause it was just a little more inconvenient for me to buy it. But the inconvenience was enough to trigger my mind. The man who dominated the corporation was eccentric and heavy drinking. But the oilfield wasn’t over-drinking. I had two different psychological reasons so I made the wrong decision. I thought too much about how much the man was drinking and too little about how good the oilfield was. I thought too much about my inconvenience and too little about the basic situation. So I screwed up fairly well!. That should encourage you people. You can blow the major opportunities of your life, but still get through all right.